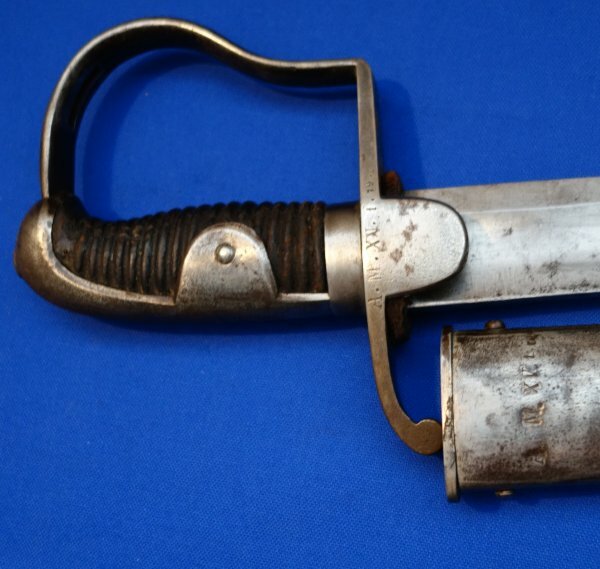 In very good condition, a scarce original 1811 model Prussian cavalry trooper's Blucher sabre. 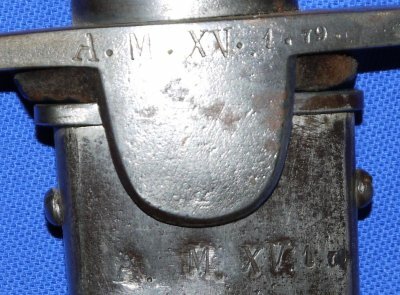 Marked "A M XV 1 79" to both the langet and scabbard for Artillery Munitions 15th Army Corps / Feld-Artillerie Regt, 1st Troop 79th weapon", dated 1831 to spine, marked to maker S&K (Schnitzler & Kirschbaum) on the scabbard's drag / chape. 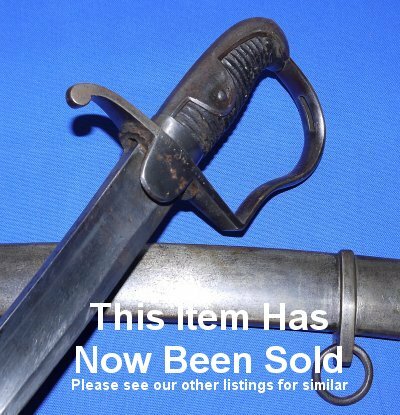 This sabre is in exceptionally good condition with the bonus of matching numbers to the sword and scabbard. The forward cutting edge of the blade also has period nicks, possibly from the Schleswig Wars, Austro-Prussian War, or Franco-Prussian War. The 32 inch blade is in very good condition save for several period nicks, and firm in the hilt. The steel hilt very good, and the original grip also good. Heavy steel scabbard with some signs of wear (small dents, etc.) and aging. The sabre sheathes and draws very well. 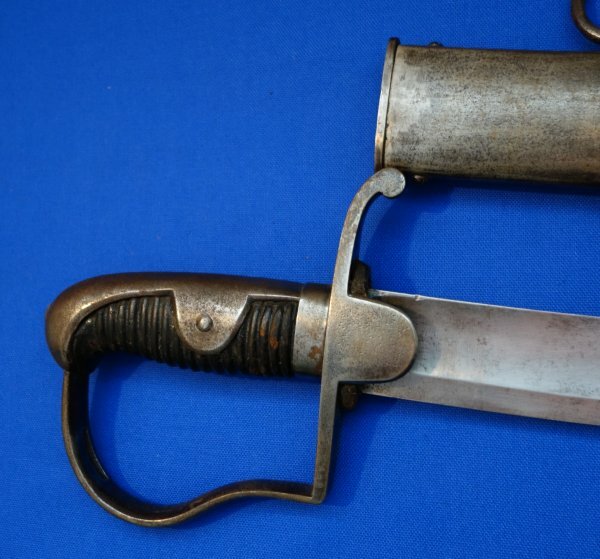 If you like British 1796P light cavalry sabres you will love this one, as it is modeled on the 1796P but much sturdier and heavier. A well above average example; yours for only £(too late, sold! But we will disclose the original sales price for a small fee). Please quote item reference M61 (1257). Further / full sized images available upon request.